Welcome to the Super 8 in Ruston, LA. 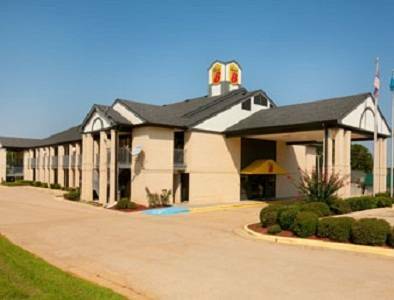 Our property is located on I-20 at Exit 84 and walking distance to LA Tech University. The staff at Ruston is always ready to assist you by making your visit a comfortable one. We offer Super Start Breakfast, Free High Speed Internet access with data ports, refrigerators, Iron and Ironing boards in all rooms. No pets allowed. When you are traveling in the Ruston area, stop by Ruston for a good night sleep. See you along the way. Where America's favorite outlaw lovebirds were riddled with dozens of bullets by hidden lawmen. A new, more vandal-proof marker was added in 2014 that shifts emphasis to the posse over the lawbreakers. Watch the alligators leap for the raw chicken!